As Director of Business Analytics, William is responsible for providing the framework to ensure Quantech remains an industry leader in delivering world-class consulting products and services in the cost estimating and analysis, financial management, earned value management and project scheduling domains. He directly manages the execution of business analytics themed contracts and enables delivery of functional expertise to cost, EVM and schedule analysts working within larger contracts that also include program management and engineering activity. As Director, William conducts market research strategizes, and develops plans to grow these core functional areas along with the Quantech Business Development and Marketing team. 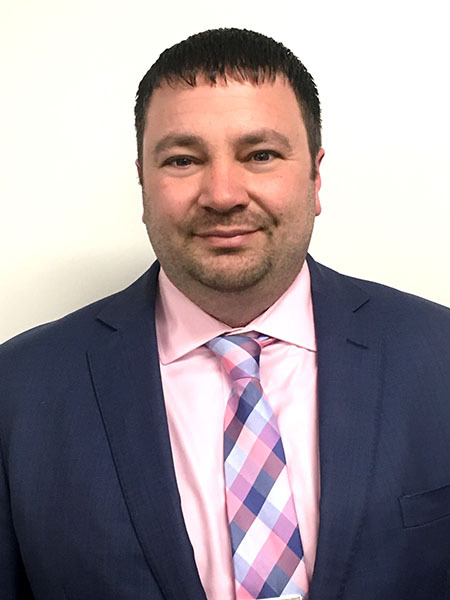 He has 15 years of experience in DoD cost analysis and associated technical management – and is a recognized technical expert and leader in the AFLCMC community. Over the last 9 years, he has led progressively larger cost analysis teams, including the JSTARS Modernization cost team, the AF C2ISR Division (Robins AFB) and AF PEO Digital (Hanscom AFB, Peterson AFB, Robins AFB and Hill AFB). He is currently the task order manager and lead subject matter expert for a team of 65 Quantech analysts in the Air Force’s PEO Digital and PEO C3I&N. In his subject matter expert role, he advises cost analysts supporting a number of critical research and analysis efforts, such as those related to pivotal agile software development programs (Mission Planning, DCGS, AOC, Weather, CMP, UP) in PEO Digital and PEO C3I&N. He is also the lead architect of our junior and advanced cost analysis training programs, ensuring they keep pace with changes to policy, analysis techniques and technology. During his career as an analyst, he supported over 50 programs (ACAT I, II, and III) spanning multiple services and agencies (Air Force, Navy, Army, Missile Defense Agency and NASA). He has architected over 150 life cycle cost estimate (LCCE) models, establishing critical dynamic decision analysis tools in a number of arenas – aircraft platform integration, ground based radar development, complex IT infrastructure systems, and space systems. He has developed CERs, metrics and databases that are widely used throughout AFLCMC today. Prior to joining Quantech, he served as a certified ACEIT trainer for 10 years. He was named ACEIT Trainer of the Year in 2010 and ICEAA New England Chapter Estimator of the Year (for Technical Achievement) in 2011. Education: William has Master of Science and Bachelor of Science degrees in Electrical Engineering from Tufts University. He is also a Certified AWS Cloud Practitioner. Professional Organizations: William has been the president of the New England Chapter of the International Cost Estimating and Analysis Association (ICEAA) since 2017 and is also a member of the Armed Forces Communications & Electronics Association (AFCEA).